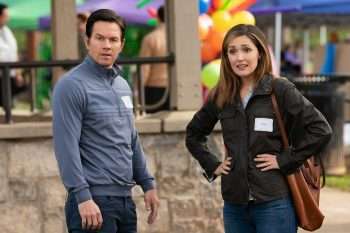 Thanks to the Daddy’s Home films, director Sean Anders has a ton of experience making family driven narratives, and his latest feature Instant Family takes that one step further. Inspired by his own experiences as a father to three children, the feature centers on a couple (Daddy’s Home star Mark Wahlberg, Rose Byrne) who decide to enter the world of foster care adoption. Isabela Moner, seen earlier this year in Sicario: Day of the Soldado, co-stars as the eldest of the three siblings. Byrne delivered one of her finest performances recently as a woman with a desire to have children in Juliet, Naked, and now this role seems to be a natural extension of that performance. Check out the trailer below and tell us what you think! Instant Family, co-starring Octavia Spencer and Tig Notaro, opens nationwide November 16.